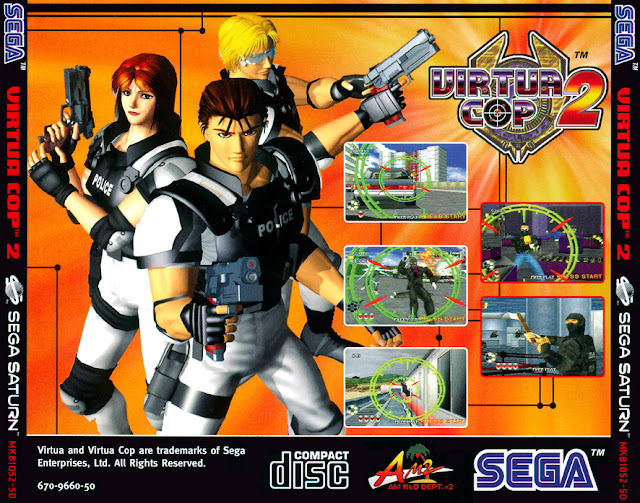 Virtua Cop 2 is a light gun arcade game, released in 1995 and developed internally at Sega by their AM2 studio. It was ported to home systems on the Sega Saturn in 1996. It was released in PC in 1997 and Dreamcast in 2000. It was later bundled with Virtua Cop in Virtua Cop: Elite Edition for PlayStation 2 in 2002.